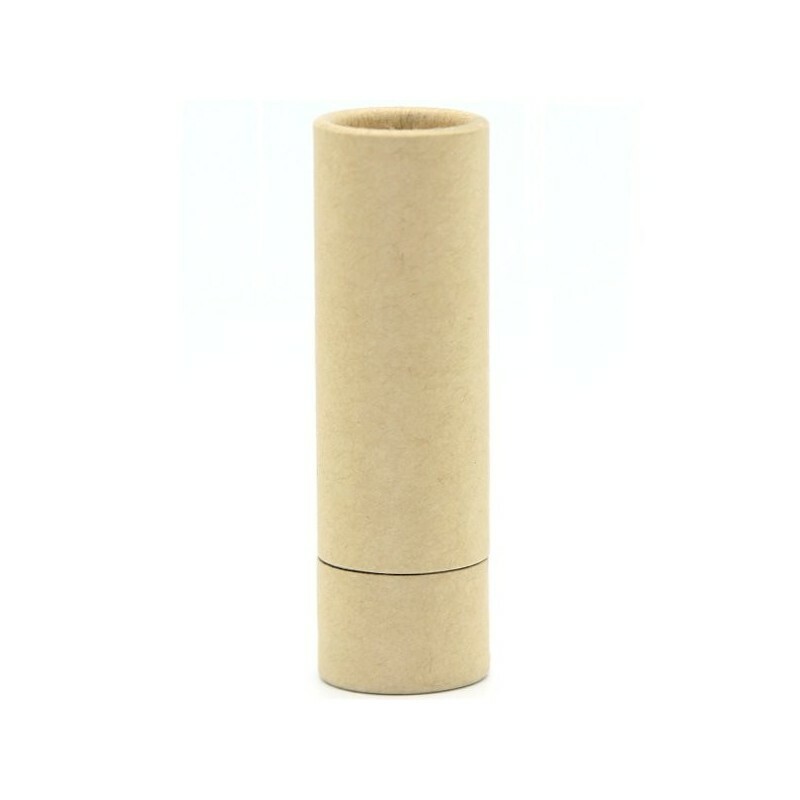 A 100% recyclable paper tube. Use to store DIY balms, perfumes or makeup. 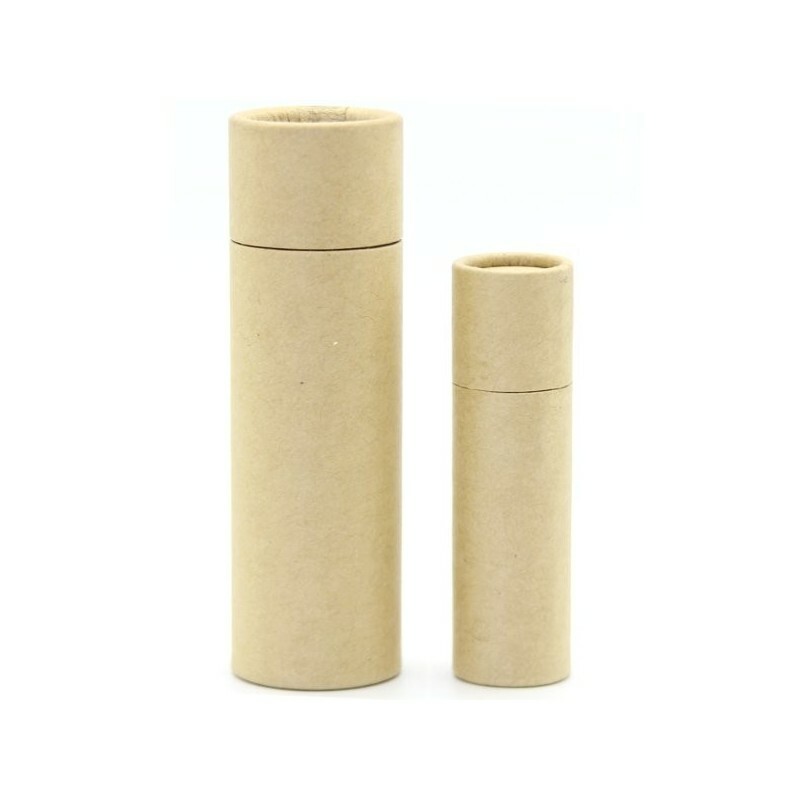 Great for people that don't want plastic touching their cosmetics, and is completely zero waste. One 30ml tube. Zero-waste product as it's 100% recyclable. 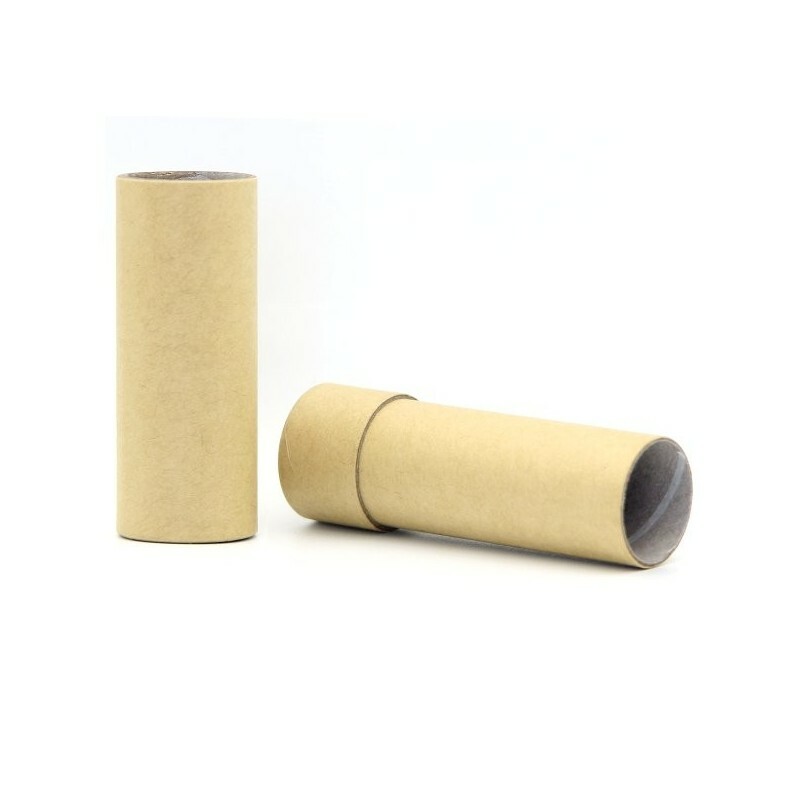 A push up tube made from 100% recyclable kraft paper. Oil-resistant, wax-coated inner lining means you can add oil-based mixtures without it soaking into the paper. Can be used for homemade lip and body balms, lip & cheek tints, concealer sticks, solid perfume, or a spot treatment balm. Great to hold solid DIY creations on the go. Once your finished your DIY product inside, you can recycle the whole tube. 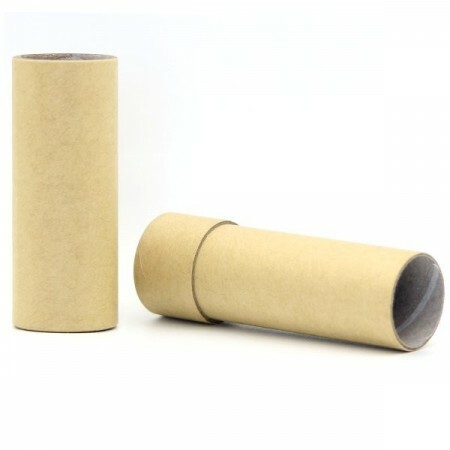 Kraft paper tube with lid. Wax coated inner lining. 30ml tube. 2.9cm x 2.9cm x 9.6cm. Give a light rinse inside the tube if desired and allow to air dry. Lower circular base and pour in mixture to top of tube. Allow to set, wiping away any liquid leaks from the bottom of the tube. Maximum filling temperature is 55 degrees Celsius. If mixture is prone to melting, store it in a cool place and don't leave it in your bag, car etc. Browse our other DIY Packaging and Utensils.